Genuine Epson ink cartridges for Discproducer DVD/CD publisher and autoprinter. Cartridges come in cyan, magenta, yellow, black, light cyan, and light magenta. 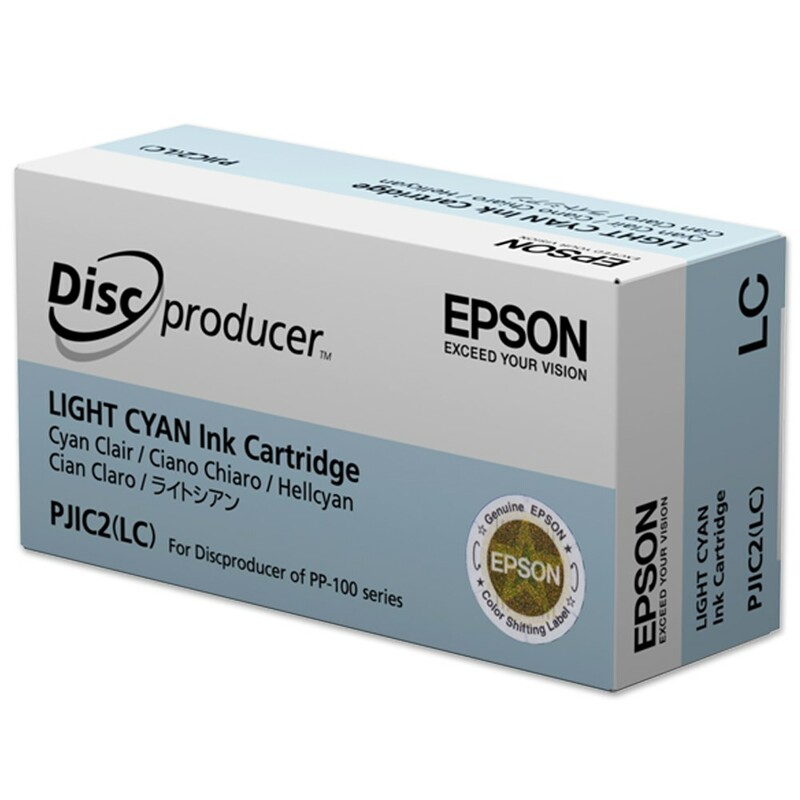 Count on Epson ink cartridges for the most professional looking results from your Discproducer CD/DVD disc printer. 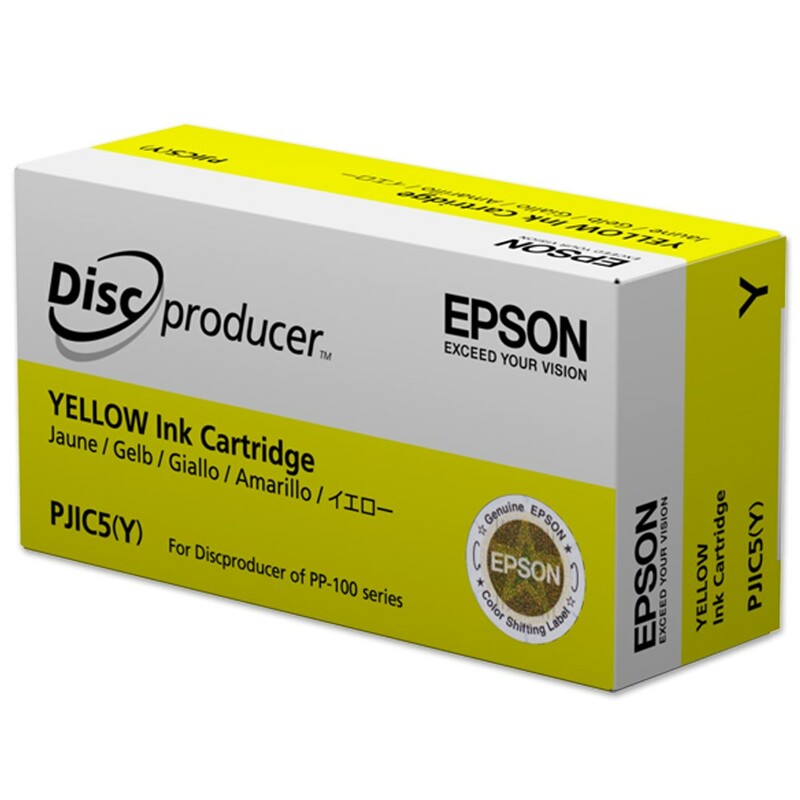 These Genuine Epson inkjet cartridges are compatible with all Discproducer models including the Publisher (PP-100), Autoprinter (PP-100AP), Publisher Network Edition (PP-100N), and Publisher Network Edition with Security (PP-100N Security). Choose from cyan, magenta, yellow, black, light cyan, and light magenta. MicroPiezo® print heads are at the heart of every Epson inkjet printer. These print heads spray ink through microscopic nozzles, or holes on the print head. Each of these nozzles has tiny piezo-electric elements which vibrate tens of thousands of times per second. This allows the nozzles to fire ink droplets onto the disc at extremely rapid rates. 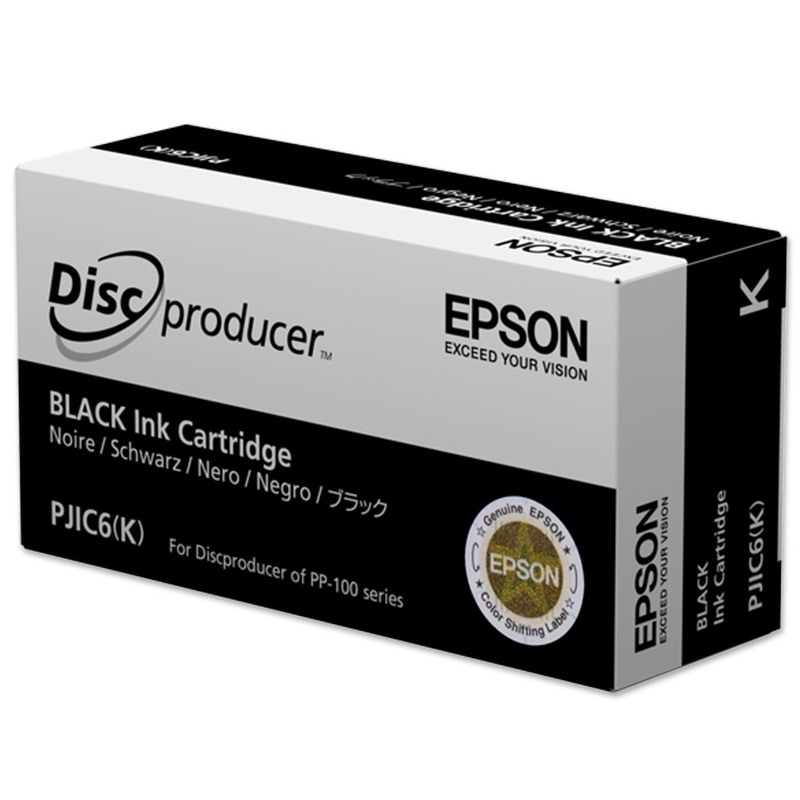 Such precise control ensures greater accuracy when firing ink droplets precisely onto the disc. Also, it gives the printer greater control over ink droplet size. 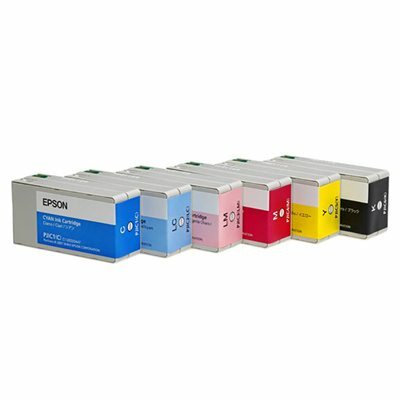 MicroPiezo technology ensures uniform, stable ink droplets with virtually no stray droplets or misting - all of which means you get the high quality results you'd expect from Epson.